“Kitna deti hai” could be made tho motto of Indian car buyers. Customers are always expecting more out of the car. In order to help you guys, here are a few tips on saving fuel and increase car mileage. Keep the tyres properly inflated in accordance with the recommendation made by the manufacturer. Drop in tyre pressure reduces the fuel economy. 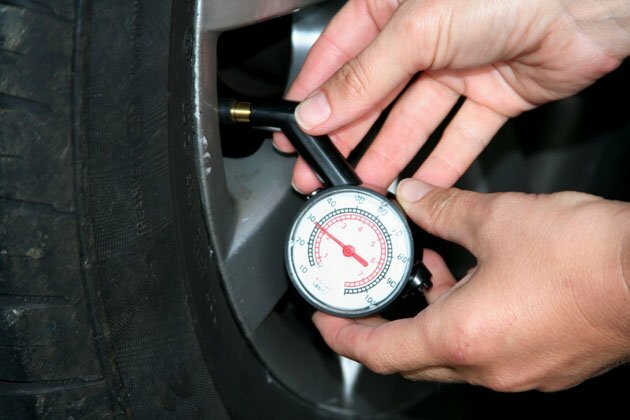 Check tyre pressure at least once a month, ideally twice. Overinflating the tires might help you get more mileage but at the cost of tyre life. So strike that balance. 2. No need of idling the engine. Stuck in a traffic jam? Waiting for your kid on the kerb? Don’t keep your engine idling. It is an unnecessary waste of fuel. Shut the engine down. Nowadays, cars come with start-stop technology which helps solve this problem, but yours is not equipped, shut the engine manually. If you have a lot of unnecessary junk in the boot, dump it. Less weight to move around equals more mileage. Lighter the car weighs, better the fuel economy and performance. In a manual vehicle, check your revs and change up gears before 2,500rpm (petrol) and 2,000rpm (diesel). At these levels, the engine is most fuel-efficient.Automatic transmissions will shift up more efficiently if you ease back on the accelerator once the car gathers momentum. When driving at a constant speed, try to use the highest gear possible. As much as adrenaline rush it gives you while driving the higher three-digit speeds, it will empty your pockets with the same speed. Higher the speed, faster is the fuel consumption. Fuel consumption increases significantly over about 90 kmph. At 110 kmph your car uses up to 25 per cent more fuel than it would, cruising at 90 kmph. Fun Fact: Bugatti Veyron can empty its whole 100-litre tank in 12 minutes flat when being driven at top speed of 431 kmph. At every signal, we open the throttle like a Formula 1 racer the moment signal goes green. We love it, because the road ahead is empty. But it is not what you do if you want more mileage from the car. Gradual acceleration is the trick for that. Use air conditioning (AC) sparingly as it significantly increases fuel consumption. Air conditioners can use about 10 per cent extra fuel when operating. However, at speeds of over 80 kmph, air con is better for fuel consumption than an open window as this creates aerodynamic drag. Need To Know Why Car’s are So Important In Every Human’s Life? Fuel Consuming Facelifted VW Vento Is Likely To Get Launched On June 23- Fuel consuming, Read Why?